Leverage Digital Media is an award-winning agency that has partnered with a wide range of brands over the years to help them better engage with their audiences through digital media. 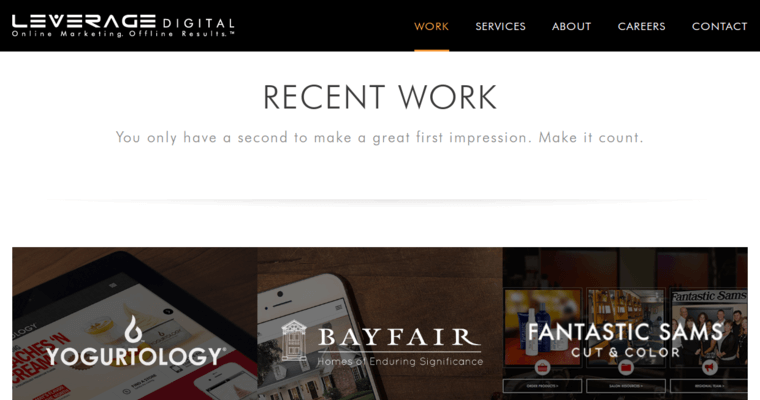 Their web design team is among the most talented on the web having worked with countless brands and built their company online. 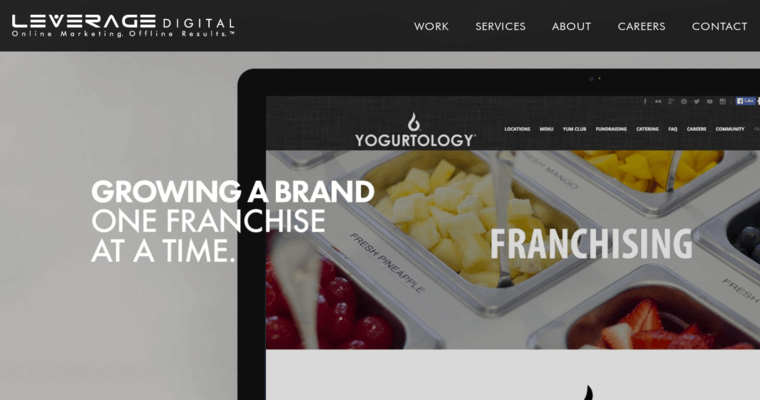 Whether it was creating the websites for Yogurtology or Soho Juice, they have utilized their creative minds to build sites that connect and engage with viewers. Presenting your brand has never been easier with the help of their highly esteemed team of professional designers. Leverage Digital Media builds brands with content marketing, digital media, and quality web design that showcases what they stand for. They remain humbled to be the designers for countless companies over the years, and they do not have any plans on stopping their streak of success. 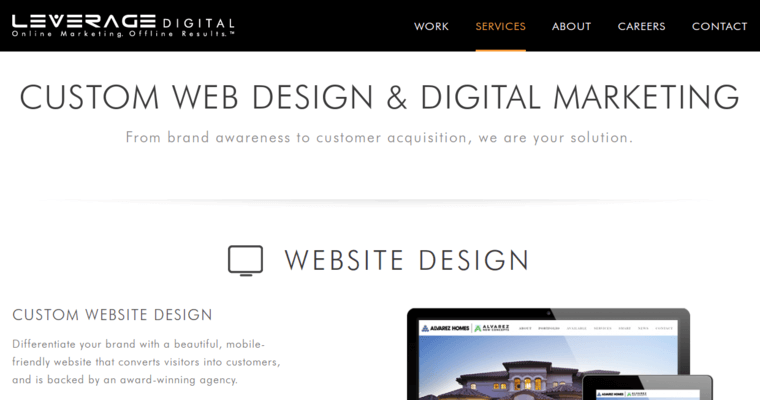 Leverage Digital Media is your one-stop source for quality site design.